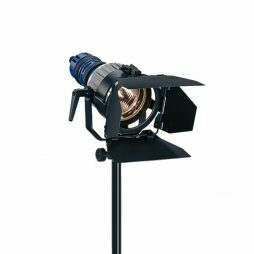 The ARRI M40 is a 4kw daylight source which combines the advantages of conventional Fresnel & PAR HMI fixtures in a single unit. A new, efficient reflector design gives it up to 30% more output that using an equivalent 4000w HMI Fresnel whilst enabling it to focus over a 18° to 52° range. It can also be used with 2500w lamps when less output is required and the supplied flicker-free ballast is dimmable between 50% and 100% output. 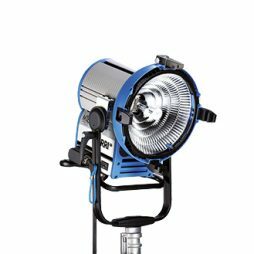 Arri’s new M18 is as lightweight and compact as a 1.2kw lamp but boasts a 70% higher light output. New reflector technology allows this fixture to give off more light from a head powered from a domestic mains socket than ever before. 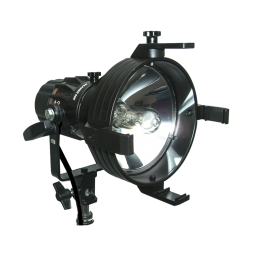 The M18 can also be used with 1.2kw lamps for added flexibility. K5600’s latest Joker 2 800w is a compact daylight source, providing a 50% more powerful output than a conventional 1200W par. 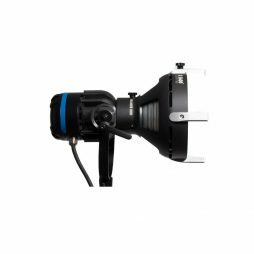 Compatible with a variety of accessories, the lightweight, rugged and compact design of this light makes it a great choice for on the move shoots. New features of the Joker 2 range include a wireless DMX interface, perfect for tablet and smartphone control and a new high-speed ballast, allowing flicker free operation between 300 and 1000 Hz. A daylight version of the octodome, this light is perfect for exterior interviews or for balancing a large sunlight source. 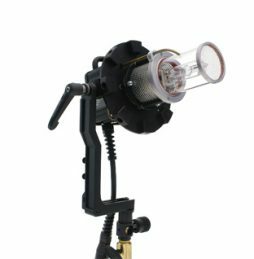 Supplied in a portable carry bag, this is a perfect lamp for both location and studio shooting alike. The even distribution of soft light across the whole 5′ of the face allows you to evenly light a subject with one direct source. 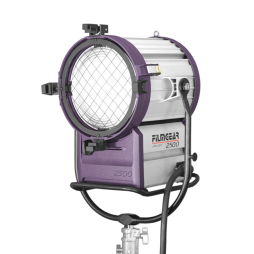 K5600’s latest Joker 2 400w is a compact daylight source, providing a 25% more powerful output than the previous version of the Joker-bug 400. 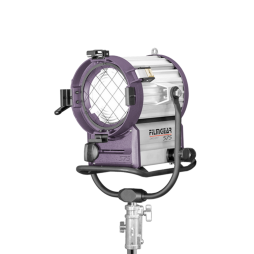 Compatible with a variety of accessories the fixture offers a very similar output to a 575W HMI with 30% less electrical consumption. 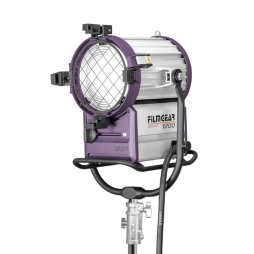 The Filmgear 2.5kw HMI is a popular choice for creating the illusion of a sunny day even on the greyest of English mornings, or for flooding an area with daylight. We stock various soft boxes and scrims to make this head even more versatile. K5600’s series of Joker lights are compact, versatile sources available with a wide range of accessories. The kit comes with a frosted bulb-cover and PAR lenses as standard; optional extras include Softubes, Octaplus, and Jemball fittings. The 800w works well with the colour-balanced 400w Joker, but is equally useful when used as a stand-alone key. 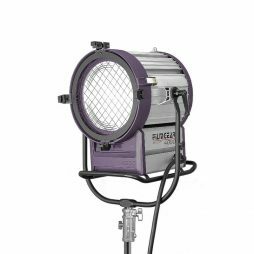 With the Octaplus attachment, the Joker 800w becomes a great interview light with even spread over 5′. Get in touch with a member of staff to tailor your Joker package to your needs. A cost-effective 1.2kw HMI with a flicker-free ballast. 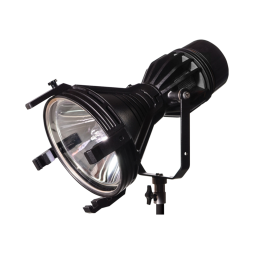 With the same technology used across their HMI range, this 1.2 is a perfect fill light for the bigger 2.5kw & 4kw HMI, or great when used as a bounce key or with a soft box. 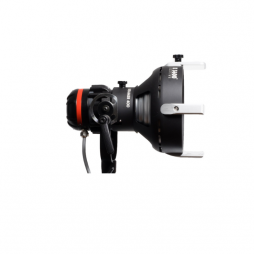 Arri’s ARRISUN PAR series have been developed with performance and control in mind. 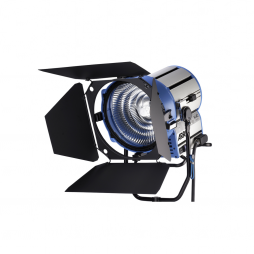 The 575w PAR is excellent when punch or bounce light is needed to balance shadows or lift key areas of the frame. The excellent beam control means there is less spill to contend with than previous HMI PAR models. A cost-effective 575kw HMI with a flicker-free ballast. 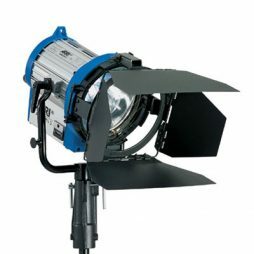 This 575w HMI is a compact head great when used as a fill light or when lighting from a tight spot. This lamp is light enough to hang from almost any support without having to rig a heavy-duty goalpost. Available with a soft box for diffused beauty/interview lighting and with a variety of different grip solutions. K5600’s series of Joker lights are compact, versatile sources available with a wide range of accessories. The kit comes with a frosted bulb-cover and PAR lenses as standard; optional extras include Softubes, Octaplus, Jemball and Bug-A-Beam adapters for Source-Four heads. The 400w has a similar output to conventional 575w HMIs, so is a great filler, though is compact and manoeuvrable enough to be used whilst travelling. A popular compact, lightweight daylight PAR source. Can be used handheld, on-camera or on a stand/grip. Our Pocket PAR kit comes with both a mains and battery ballast, making this light usable in almost any environment and particularly handy for small interiors, such as cars.